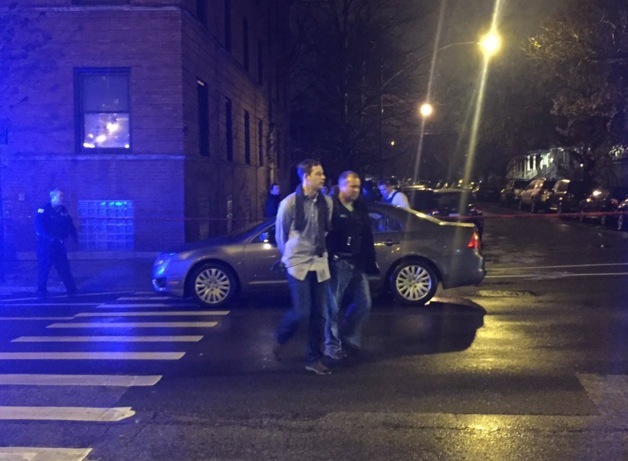 A 25-year-old Latin King gang member was killed and two other men were critically wounded Friday evening when an apparent drug deal went bad during a party just four blocks from Chicago Mayor Rahm Emanuel's home. Three people were detained for questioning. Police lead a man away from the shooting scene. Photo courtesy of Brett Anderson. Police said several people were in the second-floor unit at 1950 West Belle Plaine last night when a dispute erupted at 7:30. The Latin King pulled out a gun and opened fire, hitting a 23-year-old man and a 25-year-old man, according to witness statements. The 25-year-old pulled out his own gun and returned fire, killing the first gunman with a shot to the chest. 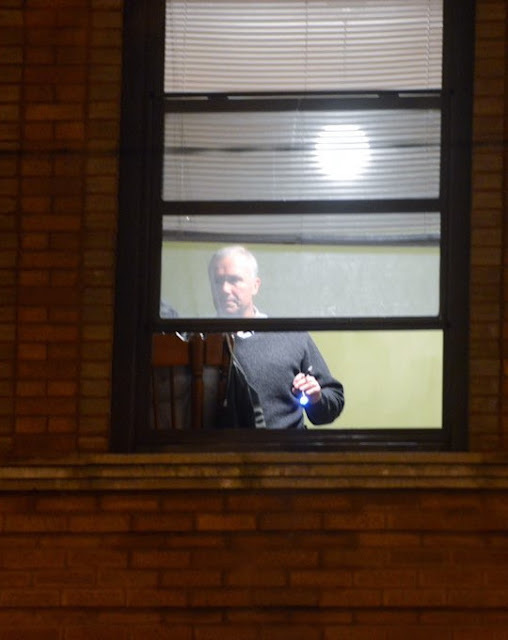 A detective examines the shooting scene. Photo courtesy of Craig Newman. The two survivors were transported to Illinois Masonic Medical Center in critical condition. Doctors there reported that one of the men appeared to have also been stabbed twice in the head. Neighbors reported seeing people pour out of the rear of the apartment building after the shootings. Some reported hearing shouts of "hide the drugs" coming from the second-floor apartment. Several people are believed to have fled the scene before police arrived. Two guns were recovered at the scene—one in the kitchen near the dead man and another on the second floor rear porch, where it had apparently been dropped by one of the gunshot victims as he stumbled his way into the alley. 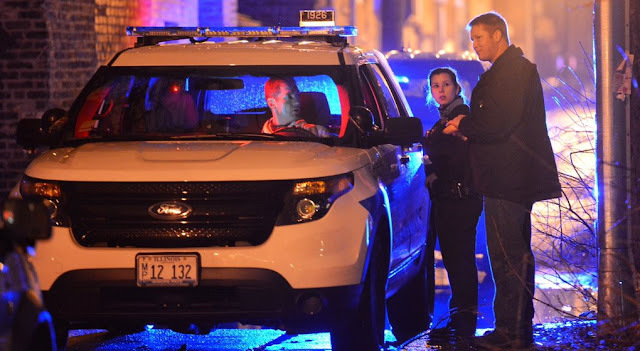 A police source told CWB Chicago early this morning that the dead gang member was associated with the Lawrence and Kedzie Latin King faction. Retaliatory strikes are likely, the source said.